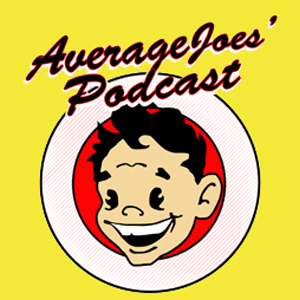 Kris DeJesus is November’s BOTM, and I’ve gotta say, this was very well deserved. Everyone loves a good underdog story, and for many years that has been the Stevenson Mustang’s reputation. However, with all the blood, sweat, and (maybe?) tears that Kris has put into this program, we are seeing the fruits of that labor. He has lead this team to their first wins in program history, and has also demonstrated that his talent level is above and beyond the average NCDA baller. The kid can do it all. Catch, throw, block, you name it. More or less, the dodgeball version of Boobie Miles. Kris has a big presence on the court as both a player and leader for this team, that much has been easy to see this year. I had a chance to chat with Kris to talk about his success and congratulate him on being our November BOTM. Hunter Ford: Congrats on being selected as Baller of the Month for November. To start, any initial thoughts on winning? Kristofer DeJesus: I appreciate being selected as Baller of the Month for November because I know there are some other really good dodgeballers out there who could have been selected. My first thought on winning is “FINALLY!” (exhales). My second thought is let’s do it some more, and the rest of my team feels the same way. We want to play against new teams to really measure how good we can be since we are really playing against the same teams over and over. HF: After some tough losses in your team’s first two tournaments this season, you guys have bounced back and picked up your first wins in program history. Do you think there was a turning point for this team, or what do you think contributed to your team’s new found success? KD: We lost a couple matches that we should have won if we could just finish games early on. We knew that we had the talent to win games, but we just didn’t know how to win since our team hadn’t won a game at the time. There was really no turning point. A lot of our new guys started getting comfortable and found their roles on the team and learned how to impact games in their own way. Once they did that, our veteran players were able to focus more on themselves rather than teaching the new guys how to play and so that’s when good things started happening. HF: What have you done in order to be playing at the level you are now as an individual? KD: Three things… Practice, even if it’s just me or one other guy killing each other in the racquetball court. I kinda just have guys rip at me so that by the time it’s game time, nothing is scary. Players whose throws were intimidating before are just regular throws now. I have also mentally prepared myself by breaking down everything that goes on in a game, and figuring out why it happens the way it does and thinking about how we progress from there. Lastly, I watch the best players and break down their game and sort of take pieces of it while adding in my own flavor. HF: How has the experience from Elite and UDC helped you and your team this season? KD: Geez, there have been tremendous benefits all-around. The biggest being that it has developed leaders on the court. If I was making 90% of the gameplan and call-outs last year, it has definitely dropped to around 50% at this point. 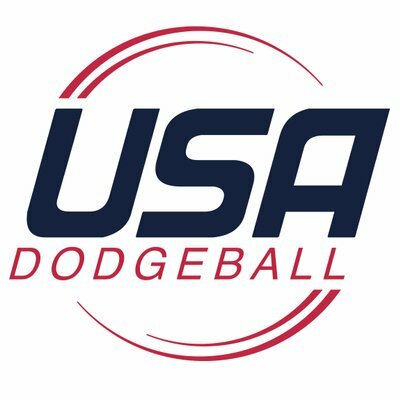 CJ Kilpatrick, Kyle Rudman, and Anane Gyedu all got some Elite or UDC experience and now they have the dodgeball smarts to deeply understand what we should be doing as a team and are taking on a load of the callouts and gameplan which takes pressure off of me, so I can just go out and perform. It has also increased their dodgeball skills along with a couple of our lady dodgeballers who played Elite over the summer. 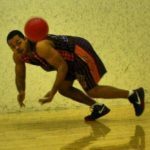 HF: Can you talk about your most memorable moments from being a dodgeball player, whether in the NCDA, or any other dodgeball related moments? KD: Attending Nationals whether it’s UDC, NCDA, or Elite is always the greatest just because there’s no better feeling to me than being around hundreds of people who all love the same thing that I do. I also take back a lot knowledge-wise through either talking to some of the greats and passing knowledge, or just watching how the best players play and adding things to my game. HF: It takes a lot to be a captain, and generally, a leader of any kind. Have you had any major influences in your life that has helped you become the leader you are today? KD: I really appreciated those leaders on my teams who led by example. Some guys growing up were all talk, but did not put in the work, so the people who I saw that worked hard to get what they had and talked only when it was necessary helped me start out as that type of leader. Now I’d say I’m a lot more vocal, not because I’m a jerk who likes to yell, but I feel like I’m the one who has to try and hold people accountable since we don’t have a coach. I feel as if I have to be the role of coach and captain until we get a coach. HF: Let’s go to some more fun questions. What do you do to get pumped for a game? KD: I listen to Waka Flaka, Rick Ross, Ali Tomineek, or any other artist with some lit beats to get me into the zone a.k.a. Klutch Mode. KD: Anne Hathaway and Rihanna… Probably some more but those two first. HF: Favorite movie and why? KD: The Matrix by far… Don’t I resemble Morpheus? Jk but that movie was way ahead of its time with the effects, fighting scenes, and the message behind the movie. Sometimes I feel like I’m in The Matrix when I’m on the court. HF: Once again, congratulations man. Are there any final thoughts you’d like to share? KD: Stevenson would not be playing at the level that we have without the guys that we’ve had stepping up to the challenge. Mario has been the best catcher on the East Coast. Kyle has been drilling everyone in sight and distracting all with this pump fakes. CJ has been a vocal leader who has been sniping hats off (Sorry Mike Hinely). Logan, Hayden, and Davon have been growing rapidly growing as players. Anane has been keeping the energy high. I’m happy to say that this team is not just “Kris DeJesus is really good and everyone else is blah blah blah…” We have threats all over the court now. Boobie Miles is #45… I’m #45 so I guess it works. This award has been a long time coming. I believe that if SU could get off the east coast that Kris would be considered the best player from the region, and a top 5 player nationally.